Are you looking for an app to improve your English language skills? Then there are plenty of options waiting for you. RightWriter is one of them and the 6.0 version of this app comes with quite an impressive set of features in an affordable price. Check out if that suits your purpose. Expressing yourself the right way is a necessity in itself, especially when you are trying to do it with a second language which isn't one from your own native land. Knowing English as a global language has become a part of survival strategies, as that's the way you can communicate with the world today. And when you talk about the language "English" the first thing that raises doubts and lack of confidence is its grammar. It does create some difficulty for the people whose mother tongue is not English and are not much exposed to its usage. Understanding the necessity to teach this language without any leaving any room for embarrassment, few programs have come up with the solutions, among which RightWriter is one of them. It is an English Grammar Learning program by the Elite Minds Inc. that scrutinizes your documents for grammar. It detects the spelling and syntax errors with a sound system of grammar analysis that improves your English language skills. The software would automatically prop up with better suggestions of words and their usage. But unfortunately Rightwriter though guides you with the Grammar, by keep correcting the mistakes you make, it is not yet equipped with a thesaurus or other reference tools like a translator or sample write-ups. 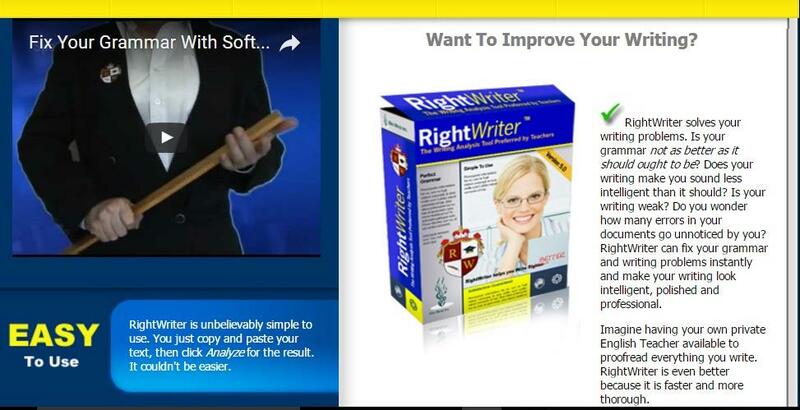 The Righwriter is packed with a series of cool features which do compensate for those which it lacks. It has the system to detect Sentence Fragments with Subject-Verb Agreement. It would warn you against Misused Words, Run-On Sentences, Long Sentence, Weak Sentence Structures as well as Difficult Sentences. Whenever you type any Wrong Verb Forms, make any mistakes in Capitalization, Conjunctions or unintentionally write Negative Sentences, it would alert you and at the same time give you the correct suggestion on how to write them in the proper way. Other features include the features like making you aware whenever you miss out a Punctuation mark, or use a Slang. It can very well identify the common and even uncommon misspelled words and the correctly spelled but incorrect words while it suggests the correct alternative for a misspelled word which is based on the phonetically matched words by similarity to help find the right word immediately. The best part which I found about this app is that it helps in increasing the vocabulary as well as the freedom of linguistic creativity by assuring how one can make use of the English language. It is indeed a useful tool for the budding writers whose flow of language doesn't get stuck due to grammatical errors. One can keep writing with his own set of expressions as the grammar is automatically taken care of by the app. In this way one can keep penning down his ideas, and when in short for expressions, the app would always be there to prompt with the correct set of words with the correct usage. It has happened with me many times, that I keep writing without checking out the structure of the sentence I have formed. RightWriter has definitely made it easy for me, and now I myself have formed a habit of checking it out. The best feature of RightWriter is that you do not require any Internet Access to work on the app. It can very well analyze the documents even when you are not connected to the internet. You don't get the Auto-Correction feature in RightWriter. It understands the danger of auto correcting feature which can replace the correct words and phrases with unrelated words. On the other hand RightWriter checks out each of the changes that you make and asks you to choose what exactly you want to write. 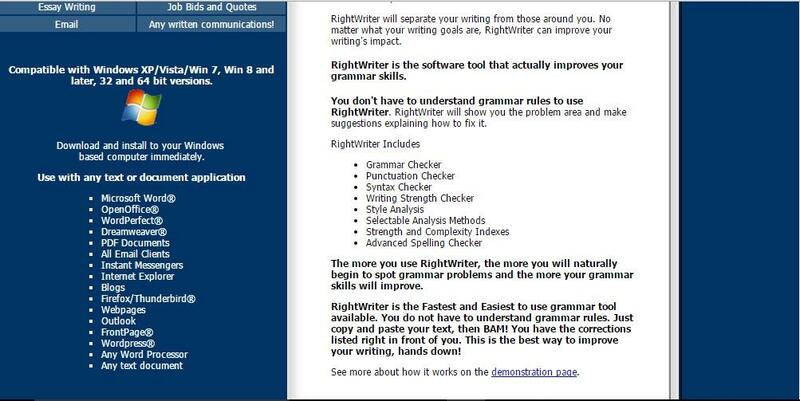 RightWriter gives you the freedom of writing your own style while it frees you from the tasks of proofreading and grammatical mistakes. 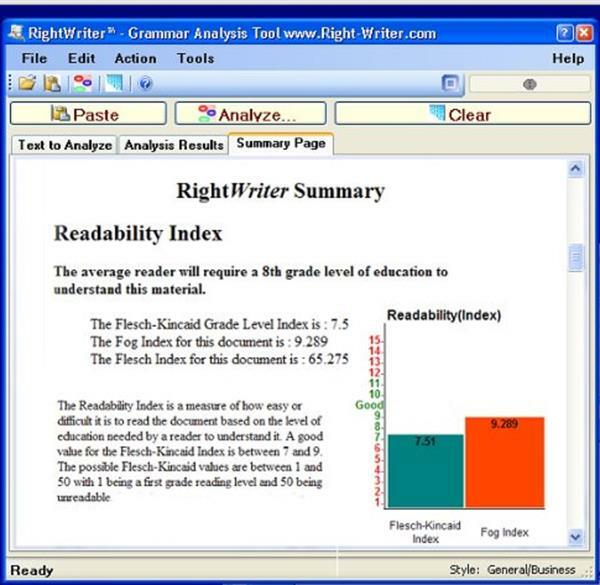 RightWriter comes with the option of having a professional proofreader which can analyze your write ups with the best replacement suggestions. The app can work without internet. Users get all the freedom to unleash their creativity while the app takes care of the grammatical usage. The app doesn't use auto correct feature deliberately which makes the users aware of each and every word usage of words and phrases. The app is packed with a huge number of useful features that guide the learners through the correct methodology of learning a language. It is a very useful app for the learners who want to improve their English. The app is missing out some basic reference tools like a dictionary and a thesaurus. 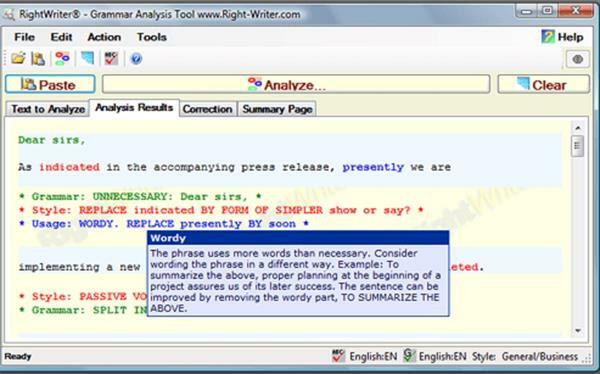 This is a really nice software for writing enhancement which does analyzes your writing meticulously but yes, it isn't having yet the power to increase the linguistic ability of the learner and take it to the higher plane. Definitely it does its job well when it comes to performing the tasks of detecting the errors, and giving the right suggestion of how it should go, but at places the interface works anti intuitive, as one cannot check out the words, their meanings and different usage. Apart from these overall it is a breeze to work with RightWriter, as it got installed smoothly and has got an easy-to-use interface. Right at the beginning it starts pointing at your mistakes which might make you feel a little low, but at the end, you feel great as you get the hang of the language and your flow of writing picks up the speed with a sense of confidence, which you might have been thriving for. The Price of this software is $29.95. But they are offering a free trial so that you can try your hands on the app and find out whether it is really worth buying. I tried it myself and it appeared to me quite impressive, though the lack of thesaurus was indeed limiting the software to work to its full extent. But I found the pricing to be much competitive and affordable than its rival applications. And the amount doesn't make a hole in your pocket, so for the basic level of learning, RightWriter gives you a good kickstart in improving your English Language Skills.